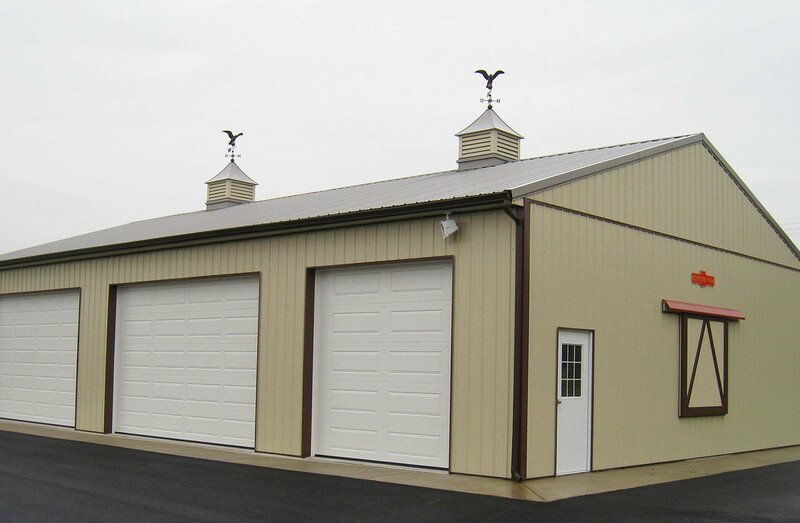 Cupolas can be custom designed for that finishing touch on your building. Standard sizes from 24”, 36”, to 48”. Larger sizes are available if needs require. 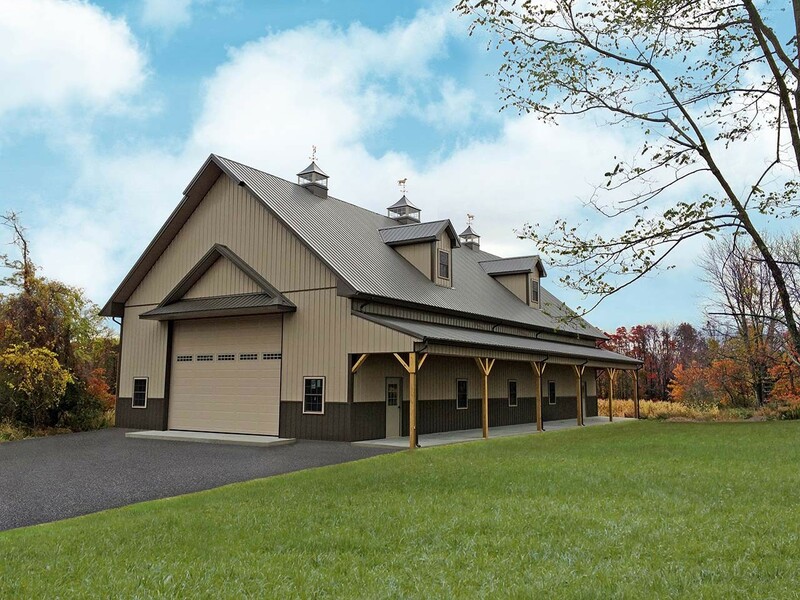 Cupolas can be color matched to your building. Custom designs built with Azek “no rot composite” materials are also available as well. Weathervanes can be affected by wind and storms if not installed properly. Many installed weathervanes will become crooked over time. Most builders, including our competition, fasten the weathervane to the top of the cupola on a base. During wind this base and the top of the cupola will rack or twist slightly, compromising the vertical position of the weathervane, resulting in a “leaning” weathervane. Be observant, look at weathervanes! We choose to install our weathervanes on a solid rod, which extends through the top of the cupola and is fastened inside. We have proven this method to be trouble free, which holds up very well under extreme wind and stormy conditions. 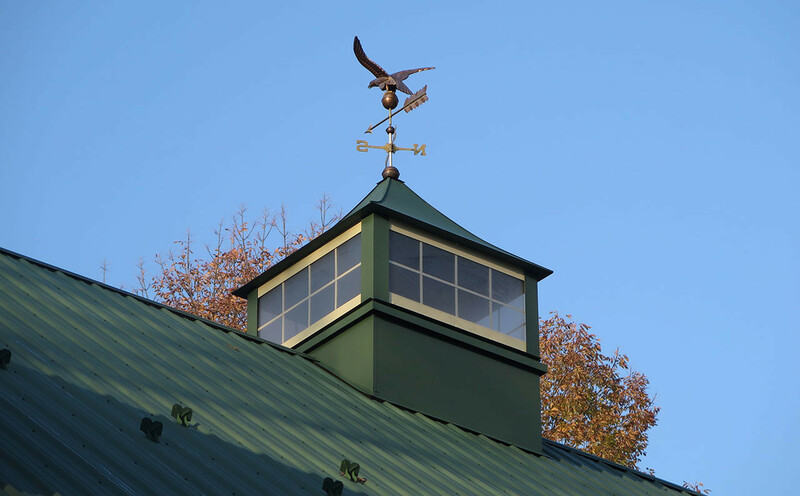 All Tri-State Buildings, LLC weathervanes are high quality copper, and are standard with our cupola / weathervane system.